why do we have to destroy this planet? Is this your planed destiny when you wake up in the morning to see what havoc you can install into the planets weather? When you send high frequency wave forms into the ionosphere and it is so powerful it bounces into the atmosphere and causes an earthquake, do you say oh well? Maybe next time we will hit our target? Is logic a common sense thought form or an illusion for you? God gave us domain, he did not say destroy! But it gets interesting to who owns and who has set up base operations on this little 21 square mile island out in the middle of major land masses.Île Amsterdam is one of only three land antipodes of the continental United States. 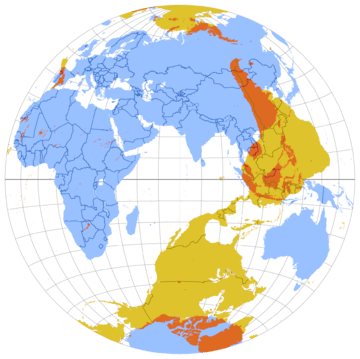 It corresponds to an area about 20 miles (32 km) southeast of Lamar, Colorado (the other two land antipodes of the US are île Saint-Paul and the Kerguelen Islands). Dagobert von Drygalski in 1902–03. In January 2007, an archaeological excavation of this site was carried out. Cabane Port-Raymond (scientific camp at 49°20′S 69°49′E), at the head of a fjord cutting into the Courbet Peninsula from the south. Cap Ratmanoff (geomagnetic station at 49°14′S 70°34′E), the eastmost point of the Kerguelens. La Montjoie (scientific camp at 48°59′S 68°50′E), on the south shore of Baie Rocheuse, along the northwestern coast of the archipelago. Molloy (Pointe Molloy), a former observatory ten kilometers west of the present-day Port-Aux-Français, along the south coast of the Courbet Peninsula, or northern shore of the Golfe du Morbihan (Kerguelen), at 49°21′38″S 70°3′50″E. An American expedition led by G. P. Ryan erected a station at this site on 7 September 1874. That station was also established to observe the 1874 transit of Venus. Port Bizet (seismographic station at 49°31′12″S 69°54′36″E), on the northeastern coast of Île Longue. This also serves as the principal sheep farm for the island’s resident flock of Bizet sheep. Port Christmas (a former geomagnetic station at 48°41′S 69°03′E), on Baie de l’Oiseau, in the extreme northwest of the Loranchet Peninsula. This place was so named by Captain James Cook, who re-discovered the islands and who anchored there on Christmas Day, 1776. This is also the place where Captain Cook coined the name “Desolation Islands” in reference to what he saw as a sterile landscape. Port Couvreux (a former whaling station, experimental sheep farm, and geomagnetic station, at 49°17′S 69°42′E), on Baie du Hillsborough, on the southeast coast of Presqu’île Bouquet de la Grye. Starting in 1912, sheep were raised here to create an economic base for future settlement, however, the attempt failed and the last inhabitants had to be evacuated, and the station abandoned, in 1931. The huts remain as well as a graveyard with five anonymous graves. These are those of the settlers who were unable to survive in the harsh environment. Port Curieuse (a harbor on the west coast across Île de l’Ouest 49°22′S 68°48′E). The site was named after the ship La Curieuse, which was used byRaymond Rallier du Baty on his second visit to the islands (1913–14). Port Douzième (literally Twelfth Port, a hut and former geomagnetic station at 49°31′S 70°09′E), on the north coast of Presqu’île Ronarch, southern shore of the Golfe du Morbihan. Port Jeanne d’Arc (a former whaling station founded by a Norwegian whaling company in 1908, and a former geomagnetic station at 49°33′S 69°49′E), in the northwestern corner of Presqu’île Jeanne d’Arc, looking across the Buenos Aires passage to Île Longue (4 km northeast). The derelict settlement consists of four residential buildings with wooden walls and tin roofs, and a barn. One of the buildings was restored in 1977, and another in 2007. From 1968 to 1981, 49°21′S 70°16′E just east of Port-aux-Français was a launching site for sounding rockets, some for French (Dragon rockets), American (Arcas) or French-Soviet (Eridans) surveys, but at the end mainly for a Soviet program (M-100). The former sounding rocket range to the east of Port-aux-Français 49°21′S 70°16′E is currently the site of a SuperDARN radar. Since 1992, the French Centre National d’Études Spatiales (CNES) has operated a satellite and rocket tracking station which is located four kilometers east of Port-aux-Français. 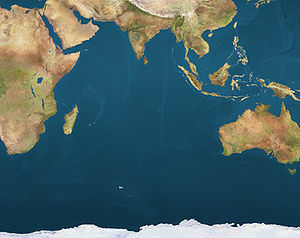 There was a need for a tracking station in the Southern Hemisphere, and the French government required that it be located on French territory, rather than in a populated, foreign place like Australia or New Zealand. SUPERDARN??????? Is that the New name For HAARP? If it looks like……………..
SuperDARN site in Corman Park east ofSaskatoon. 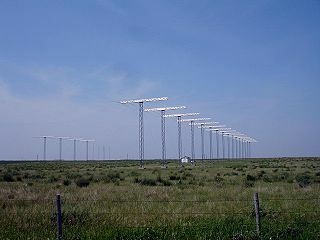 The Super Dual Auroral Radar Network (SuperDARN) is an international radar network for studying the upper atmosphere and ionosphere, comprising eleven radars in the northern hemisphere and seven in the southern hemisphere that operate in the High Frequency (HF) bands between 8 and 22 MHz. The radars measure the Doppler velocity of plasma density irregularities in the ionosphere. In their standard operating mode each radar scans through 16 beams of azimuthal separation 3.24°, with a total scan time of 1 min. Each beam is divided into 75 range gates of length 45 km, and so in each full scan the radars each cover 52° in azimuth and over 3000 km in range, an area of over 4×106 km². SuperDARN began in 1983, when the first radar installation was constructed in Labrador, Canada. The following is a list of SuperDARN sites, based on lists maintained by Johns Hopkins University Applied Physics Laboratory, University of Saskatchewan, and Virginia Polytechnic Institute and State University. As of 2009, the network is expanding to the middle latitudes, including sites in Hays, Kansas (near Fort Hays State University), Oregon, and the Azores, in order to support mapping outside of the auroral regions during large magnetic storms. Île Saint-Paul (Saint Paul Island) is an island forming part of the French Southern and Antarctic Lands(Terres australes et antarctiques françaises–TAAF) in the Indian Ocean, with an area of 6 square kilometres (2.3 sq mi). The island is located about 85 km (53 mi) southwest of the larger Île Amsterdam, and 3,000 km (1,900 mi) south of Réunion. It is an important breeding site for seabirds. A scientific research cabin on the island is used for scientific or ecological short campaigns, but there is no permanent population. It is under the authority of a senior administrator on Réunion. However, in 2007 Mauritian authorities indicated that they are exploring a potential claim on both Île Saint-Paul and Île Amsterdam.